Biohazard‘s “State Of The World Address” is set to be reissued on limited edition silver vinyl (limited to 1,000 individually numbered copies). It will be released on January 4 in Europe and January 11 in North America via Music On Vinyl. 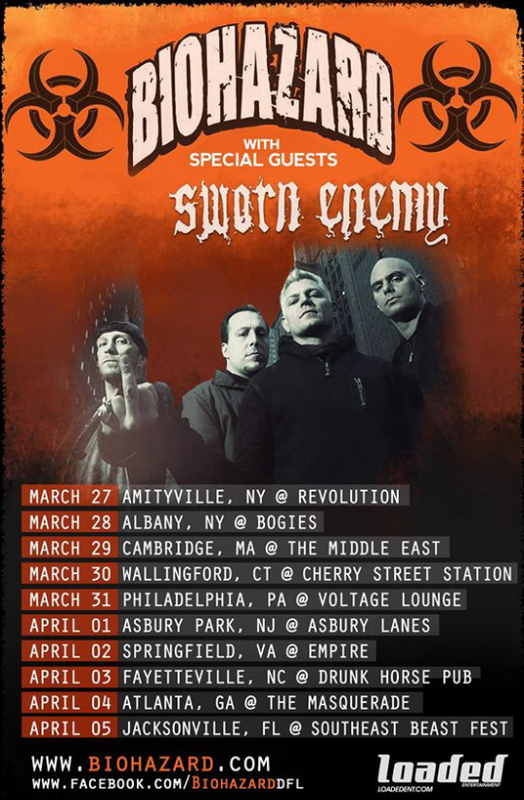 Biohazard have announced a 2015 East Coast tour. The band will also be joined by special guests Sworn Enemy.